Never go to the grocery store hungry! But we did, and we couldn’t resist a ‘bad boy’ 3 lb. fresh Maine lobster. 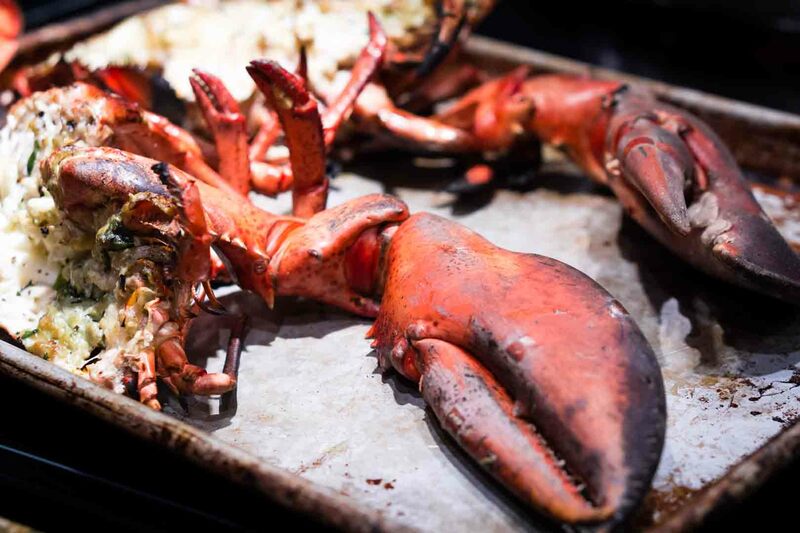 After firing up a hot charcoal grill, we parboiled the lobster for two minutes in water salty as brine with ample liquid Old Bay seasoning in a 12-quart stock pot. Following the parboil, the lobster was plunged into an ice water bath for five minutes. 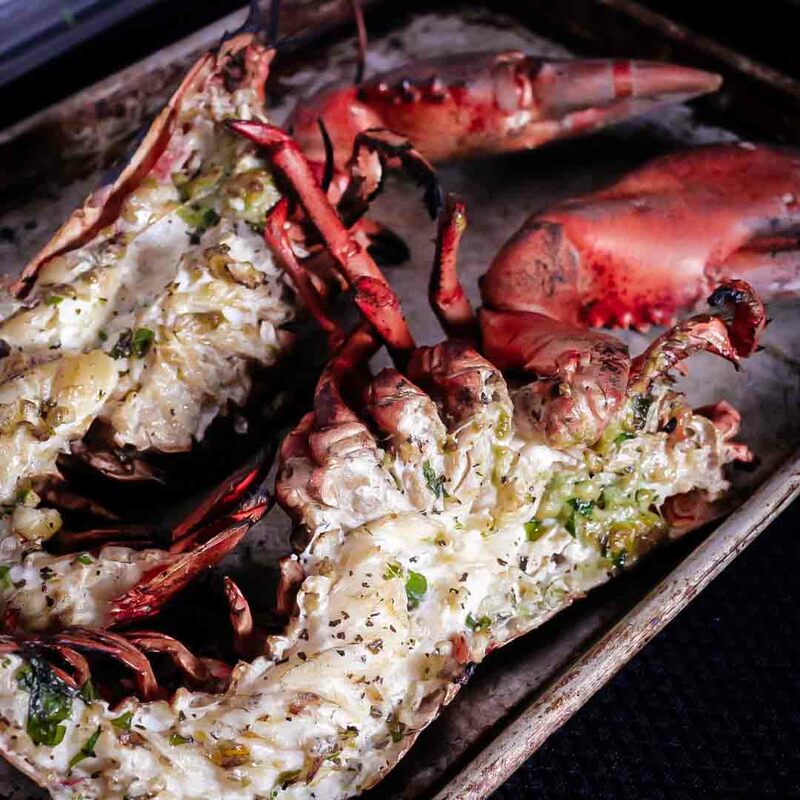 While the lobster chilled, we made the garlic butter in a small saucepan over medium heat. The chilled lobster was divided in half, the halves were placed meat side down on the grill directly over the hot coals for two minutes. 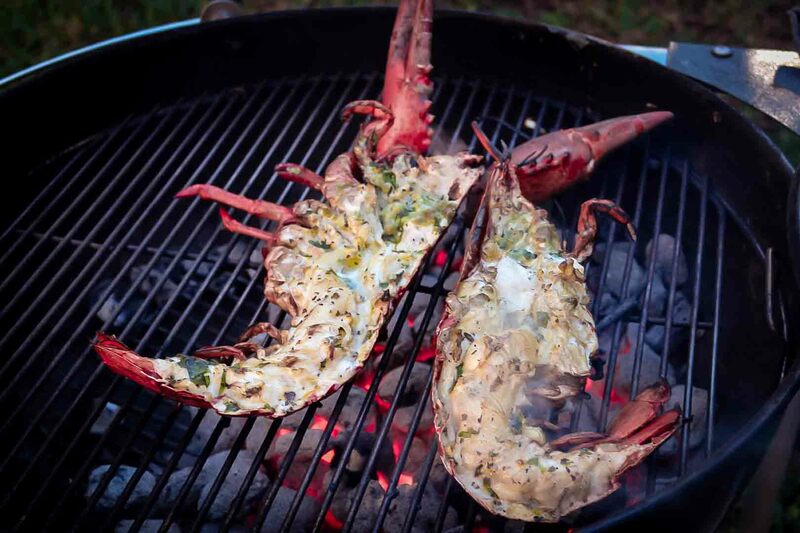 To finish, the halves were flipped over shell side down and basted with garlic butter until done – about 5 more minutes, making sure the claws were over the hottest part of the grill. We couldn’t stop until it was gone!